In case you’d like to see my work in one place, without scrolling through this long blog…I’ve done it! I’ve put a gallery in this blog, with links along the top, arranged in the time periods I did the works. This replaces my website, which didn’t support all browsers for the slideshow. So, that gives you an idea of what I’ve been doing, but I’m still working on a picture. Yet, another one for the birds. I’ve drawn and watched birds for decades, now, and they still make a good subject. My favorite one is this one, which I’ve posted before, but I like it so much, I’m going to post it again. 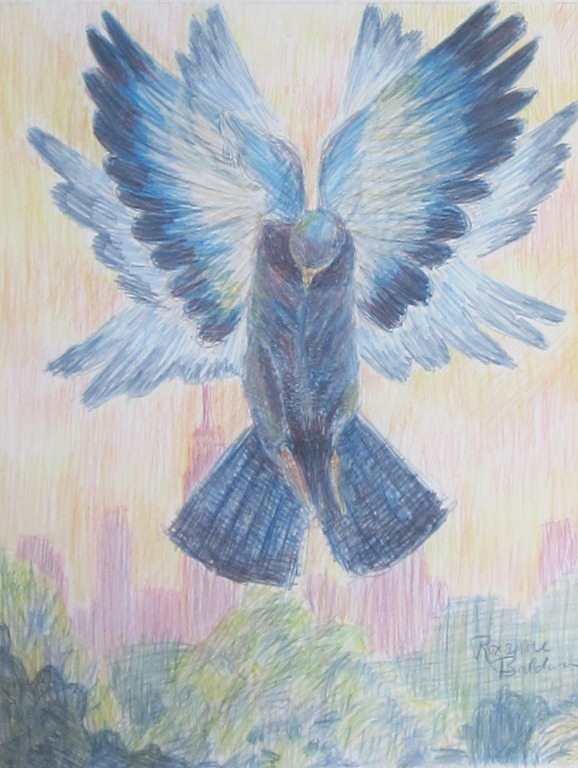 It’s one of my New York City pictures, and it’s dedicated to the omnipresent pigeons there. Previous PostGood Morning!Next PostHurray! I Got Rejected!